The “Rail Trail” corridor of South End Charlotte has experienced incredible growth. Doerre Construction was proud to contribute to this growth, and be part of the team that could “Create a Grand Opening” for Hyde Brewing and The Suffolk Punch, an exciting new brewery and restaurant located at 2911 Griffith Street. The Doerre team converted a historic bow truss building into a property that now houses a coffee shop, restaurant, brewery, and fermentation lab. This multifaceted project included the conversion of a 7,800-square-foot bow truss building in historic South End into the exciting restaurant, brewery, and coffee house space it is now. 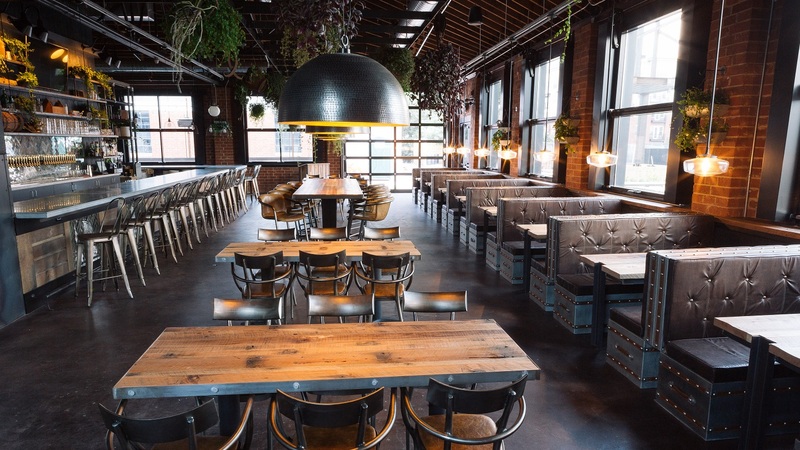 Original masonry, steel, and timber construction played a large role in creating a unique space for the new brewery, restaurant, and taproom areas. The project was a full interior and exterior renovation, including new electrical, HVAC, plumbing systems, outdoor patio space, landscaping, and cosmetic exterior work. The building now contains Suffolk Punch, a local-ingredient restaurant with a 48-tap bar; a brewery with six 30-barrel and two 15-barrel fermenters; Hyde Coffee Bar, an outdoor area with another 16 beer taps; an entrance onto the Lynx light rail line (it’s just a few steps from the New Bern station); and an upstairs lab for all the chemistry that goes into making beer.